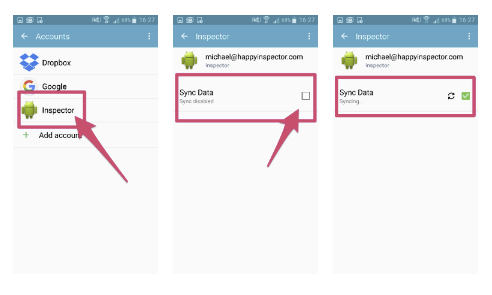 Happy Inspector on Android is not syncing, why not? 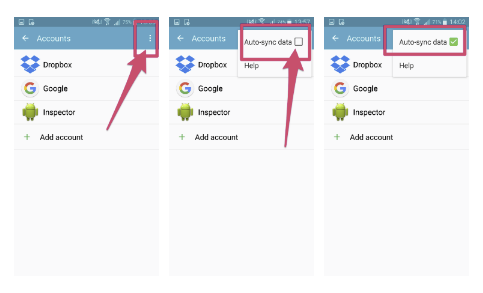 Android sync in Happy Inspector can be affected by your Android settings. These settings are outside our app and outside our control. If you're experiencing issues with your photos or reports not syncing in your Android Happy Inspector, please have a look at your device settings discussed below. Android is a very diverse platform so the names of the settings may be different for your device. If you're unsure where to find them on your particular phone or tablet either search around online, or reach out to our friendly Support team for help. Why are these settings off on my device? Background or Auto-Sync is sometimes off to save people's data plans from heavy use. If it's off, it can prevent our app syncing completely. On some devices too, your account in the Inspector app can also have sync off by default. Please check all of these settings. 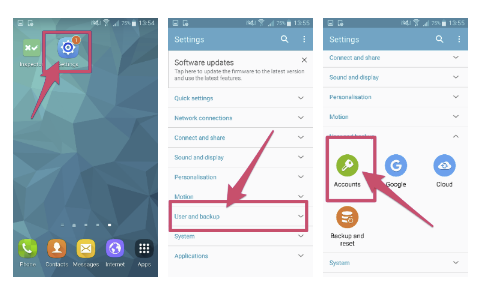 How do I turn on sync in my Android Accounts?